The first mission of the Atlas V rocket to the International Space Station was kept on the ground by high winds on Friday, pushing the launch of the Cygnus OA-4 ISS resupply mission into the weekend. Liftoff is now targeting Saturday with a 30-minute window, opening at 22:10 UTC to send Cygnus on its way to ISS, carrying 3,500 Kilograms of supplies. Coming back from Thursday’s delay that was caused by multiple weather rule violations, teams again headed into countdown operations seven and a half hours prior to the opening of the day’s half-hour launch window. Initially, meteorologists were expecting similar condition as the day before, but were pleasantly surprised when a different weather picture formed – skies over Cape Canaveral were clear and the disorganized system kept to the south east for the early portion of the countdown. With a cautiously optimistic weather outlook, Atlas V pressed into tanking operations when coming out of the T-2 hour hold. 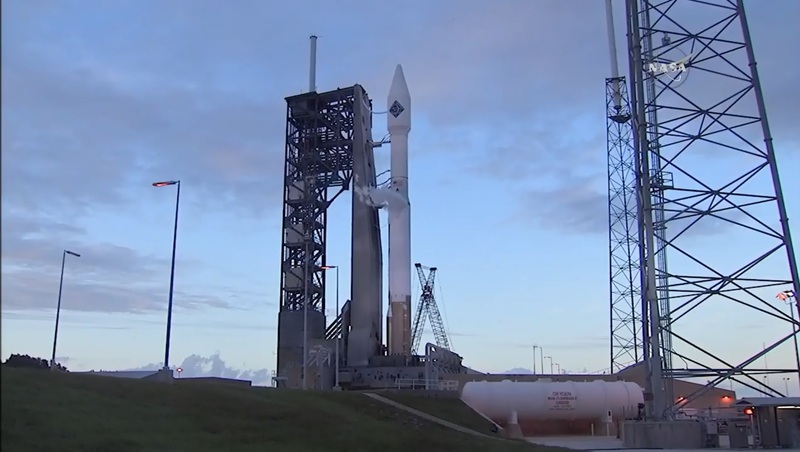 Atlas V and Cygnus performed flawlessly throughout the countdown with no technical issues whatsoever. Arriving at T-4 minutes, the countdown entered a hold to allow time for final preparations setting up the final countdown sequence. By that point, winds had picked up to a point where ground wind violations were a concern for the planned launch attempt. Space Launch Complex 41 has several wind detection systems that can automatically trigger a countdown abort in case gusts exceed the limit for the given wind direction. 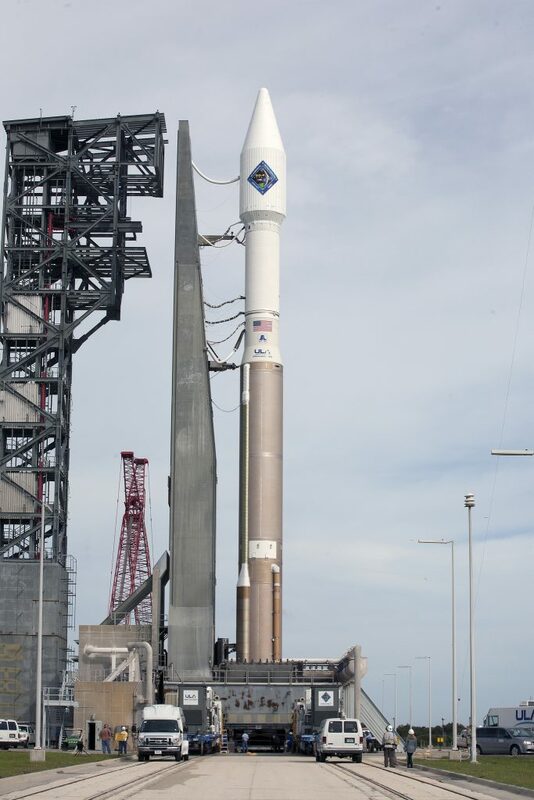 The concern associated with wind is the early flight phase of Atlas V which is known to rise slowly from its pad, leaving it vulnerable to strong winds that could push the vehicle in to the Umbilical Tower. With a clean vehicle, the team decided to give it a try and hope for four minutes of calm winds to go through the terminal countdown. Countdown clocks were stopped at T-3 minutes and 9 seconds due to an automatic wind trigger and the launch team was forced to recycle the countdown for a new T-0 in the center of the 30-minute window. But again, the same wind trigger caused a hold of the count at T-3:42, leaving only one more opportunity at the end of the window. The last attempt to pick up the count lasted just one second as the wind detection system held clocks at T-3:59, leading to an automatic scrub of the launch as the launch window had expired. Managers decided to conduct a third consecutive launch attempt on Saturday looking at crew rest requirements, the expected weather forecast but also the traffic situation on the Space Station. Should Cygnus launch on Saturday, a rendezvous on Wednesday will still be possible. Should the launch slip further, Cygnus will have to loiter in orbit to await a slot in a busy period of traffic ongoing at ISS with an upcoming Soyuz return on December 11, a Soyuz launch and docking on the 15/16th and a Progress rotation in the days before the holidays. Cygnus can be in free flight for up to two months and this option would be chosen in case of a delay beyond Saturday. On Saturday, an upper-level trough will push through the Florida peninsula leading to decreased cloud cover. However, a high-pressure area building down the peninsula will lead to strengthened winds gusting near the launch commit limit. The primary concerns for Saturday are cumulus clouds and high ground winds with a 70% chance of uncooperative weather for the third day in a row. Sunday’s weather would only be marginally better. 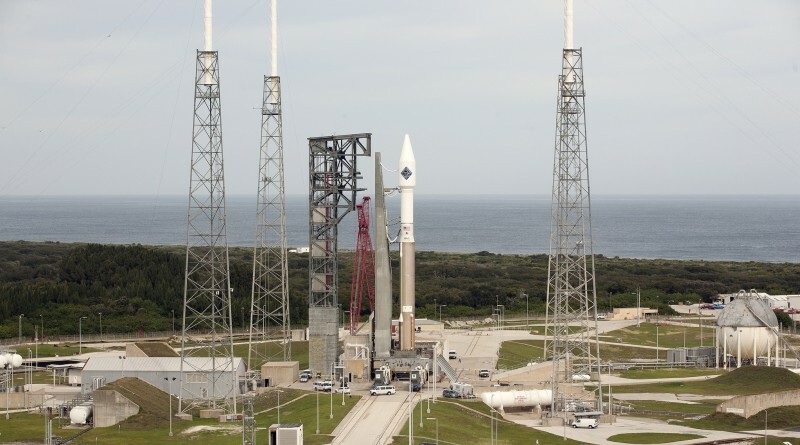 Teams will be back on Saturday and again go through the lengthy Atlas V countdown operation in the hopes of seeing better conditions during the day’s launch window. There are again five discrete launch opportunities in a window lasting 30 minutes with an opening time of 22:10:38 UTC.